HCM City (VNA) – Vietnam will work harder to raise public awareness of e-filing system in intellectual property (IP) registration, which has been put into place earlier this year by the National Office of Intellectual Property of Vietnam (NOIP), said Le Ngoc Lam, NOIP deputy head. The system benefits both file submitters and IP agencies, Lam told Vietnam News Agency reporters on the sidelines of the 45th meeting of the Intellectual Property Experts Group (IPEG) in Ho Chi Minh City on August 22. To intensify the e-filing system, it is necessary to ensure smooth procedures and IP agencies should make thorough preparations in order to deal with piles of dossiers, the official noted. This is also one of the two initiatives presented by Vietnam at the IPEG meeting, together with the country’s joining of The Hague Agreement Concerning the International Registration of Industrial Designs in the coming time, Lam said. The agreement could be useful for Vietnamese enterprises which want to register for IP rights in other countries, the official said, noting that Vietnam is making all-out efforts to ensure that the country can engage in the document without having to amend relevant domestic laws. Since some articles of Vietnam’s Law on Intellectual Property, which has been put into operation for ten years, have not matched The Hague Agreement, Vietnam needs to raise their own voice in this regard. 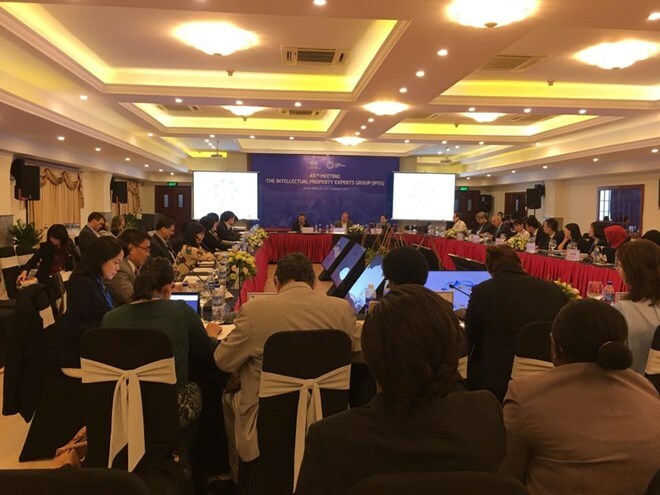 Developing an e-environment which should be strong enough to accelerate Vietnam’s participation in the agreement remains a big challenge to the country, especially in the context of the poor domestic information infrastructure, Lam noted. Takashi Koyama, Director of Intellectual Property Affairs Division at Japan’s Ministry of Foreign Affairs, told VNA reporters that Japan has cooperated with Vietnam in terms of developing the e-filing system, which, he said, is very beneficial to users, including Japanese companies. He said the system helps reduce written requirements or documents, and time of examinations and trademark publication, he said, adding that stakeholders can easily obtain the right to make use of this in Vietnam so that they can invest in the country. Japan can cooperate with Vietnamese agencies to enhance public awareness of IP rights by adopting several measures upon their request, the official said. “Recently our Government focuses on education, not only the university level but also elemental school and high school or junior high-school level,” he said, adding that the move aims to equip students with knowledge about IP. The ongoing 45th meeting of IPEG creates a venue for APEC member economies to exchange information and experience in the IP sector. The delegates discussed enhancing the IP system in remote areas of APEC economies, promoting the use of the trademark registration system through technology and simplification, examining the gender gap in IP to improve outcomes for women, and enhancing access to the IP system for small and medium-sized enterprises, among others.